We understand that the idea of baby shower of your friend or relative had kept exciting you since the time you realised she was pregnant. Baby shower is the day when she will share her joy with her loved ones and they will bless her arriving baby, in return. By now, you have come to know that it’s a boy. So the occasion has to be awesome for your friend or sister, keeping in mind the theme to be boyish. At the same time, you have the responsibility of managing finances for your future plans too. 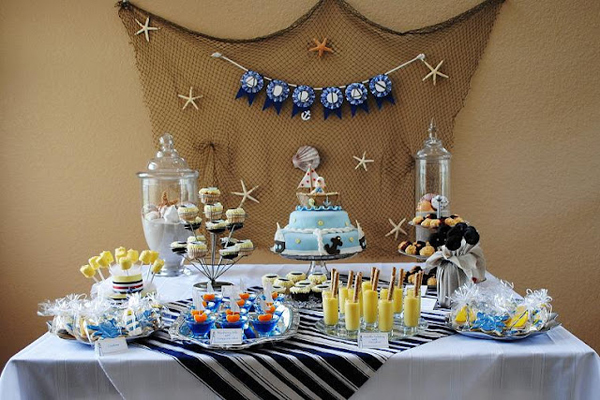 You do not need to go far to search for the baby shower ideas for boys on a budget, as we have brought some innovative concepts to fill the big day with lots of joy. Also Read: when do you have a baby shower? You can cut on the cost by hosting the ceremony at your home, instead in a restaurant or a club. If your home does not have sufficient space, you can ask a relative or a friend for the favour. You can host the party in a park that is in your neighborhood. Before making other arrangements, make sure whether the public place requires permission or not. If the weather is rainy, be sure to make a rain plan, in advance. You should spend 5% of your budget on the location. Instead of spending on the mails, you can send digital invites. It is not only money saving, but is faster than the mail. Moreover, you will feel good about saving the nature’s resources. Of course, if you have some old relatives who do not access the internet, then you can send the physical invites to them. Spending 10% of your budget on invites will be enough. The best way to save on decor is by buying the decoration items in bulk. Also, you should compare the prices of all the commodities that are available on the internet to the local shops. Buy from where you get good deals. Latex balloons are cheaper and better than Mylar balloons. Also, look out for the shops that sell dishes and cups at cheaper rates. Further, you can also read our DIY ideas for baby shower. Be prepared to spend 5% of your budget on décor items. Buy flowers from the local farmers’ market. You can make your centerpieces by deciding a color scheme and arranging flowers in vases of various sizes and shapes. You can take help from a creative friend. If you wish, you can use paper flowers. You can either make them from craft papers or buy them from stores. Keeping one signature flower will not only save money, but will make a statement too. Flowers will occupy 5% of your budget. If the party is held at home, then you may not need to rent furniture. But if the baby shower has to take place in a public place like a park, you will have to buy spreading sheets for lawns, some baskets for food and a comfortable seat for the mom-to-be. You may need to spend 5% of your budget on the rentals. For any ceremony or party, foods and drinks are the most vital requirements. Food has to be good so that the guests stay happy. Instead of paying a large sum of money to the caterers, you can cook food at home. If you are not an expert in cooking, you can buy some sauces, spreads and other munchies, to make food tastier. Taking help from an expert friend will be a good idea. Buy all the required raw materials from a local store that offers discounts. You can also save a lot on the tips and services, by arranging for a buffet meal. Be prepared to spend about 40% of your budget on foods and drinks. In any baby shower, the cake is the center of attraction. Also, other desserts are needed to make the occasion a sweet one. So you can ask the relatives of mom-to-be, who make yummy desserts, to bake a few for the occasion. They will be more than happy to present their delicacies. You can also arrange for the cupcake decoration activity by providing some raw materials to the interested guests. You can spend 5% of the money from the total budget for the desserts and cake. Games and prizes are the fun part for the guests. We have listed out few budget-friendly games for the occasion. You can save a bit by giving the decoration pieces as prizes. You may need to spend 5% of the budget on this. You can spend up to 10% from your budget on the entertainment. On the contrary, you can save a lot by not hiring any professional musicians. You just have to make a playlist suitable for the occasion and that can be enjoyed by guests of all ages. Plug in the cell-phone to a good sound system and you can have a gala time in the party. Return gifts or favors do not need to be expensive, necessarily. You can make some cookies or chocolates at home and pack them in cute and inexpensive bags. Spending 10% of your budget on the return gifts will be fine. As it is a boy, a blue theme will always be the first choice. So arrange balloons in various shades of blue and fill the room. Make blue pacifiers using polo mint and blue jelly. Tie the knives, forks and spoons with blue themed bows. Make a blue colored punch as the main drink. For this, mix sprite with some lemons and few drops of blue food color. Make paper or cloth wall hangings and banners with pictures of mustaches, bows, footballs and other boy-like stuffs. Make a large frame with a painting of a brown tree and its branches. Ask the guests to give their thumb impression at the place where leaves should be. It will look prettier, if the thumb impressions are in the shades of blue. In this way, you will have a blessing tree for the baby boy. Get some colorful bibs from the market. Buy some fabric pens too. Ask the guests to write their messages or blessings on each bib. If you are crafty, you can make some photo booth props with various craft materials. Ask the guests to pose for some memorable clicks, either alone or in groups. Arrange for cupcake decoration competition among the guests. You can get few dolls and make the guests play a game of changing the diapers while they are blindfolded. Hope you have got an idea to throw a baby shower for boys on a budget. Managing your expenses and being a little creative will make the occasion a memorable one. We wish you and your guests have a great time at the baby shower.